Hey there. I recently moved to Lancaster, CA and I wasn't as well prepared as I thought I would be. Especially when it came to car maintenance. I knew that the weather would get colder than what I was used to, but I didn't think that it would get to freezing temperatures! Because of the cold weather, my car tires were constricting, causing them to lose tire pressure over time, and I wouldn't find out until it was too late. On more than one occasion, my wife and I found ourselves waking up to a flat tire. After those incidents, I mentioned to my wife how we're going to have to keep an eye on the pressure on the tires to make sure that they stay properly inflated. Even though I have a standard metal tire pressure gauge, my wife insisted on something that is easier to use and read. Something that she would have no problem using. That's where our friends at NorthONE saved the day. The NorthONE Digital Tire Pressure Gauge came to the rescue. This thing has everything that I am looking for in an easy to use, easy to read tire pressure gauge. 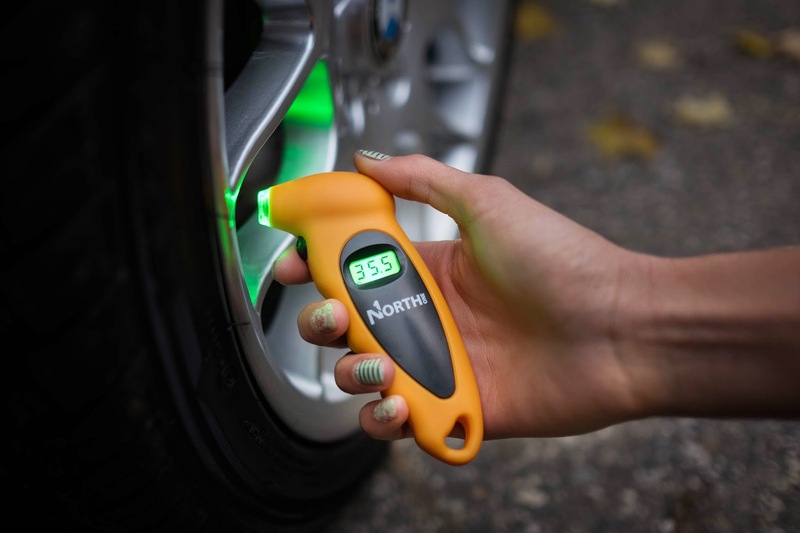 Using the NorthONE Digital Tire Pressure Gauge can measure tire pressure is extremely easy. You simply press the button to turn it on and insert the valve into the tire pressure nozzle. A second later, you have your tire pressure displayed on the screen. The cool part is that the tire pressure can be measure in 4 ranges. By pressing the button while your tire pressure is on display, you can toggle and convert the tire pressure reading to PSI, BAR, KPA, and KGF/cm2 ranges. That's pretty awesome. 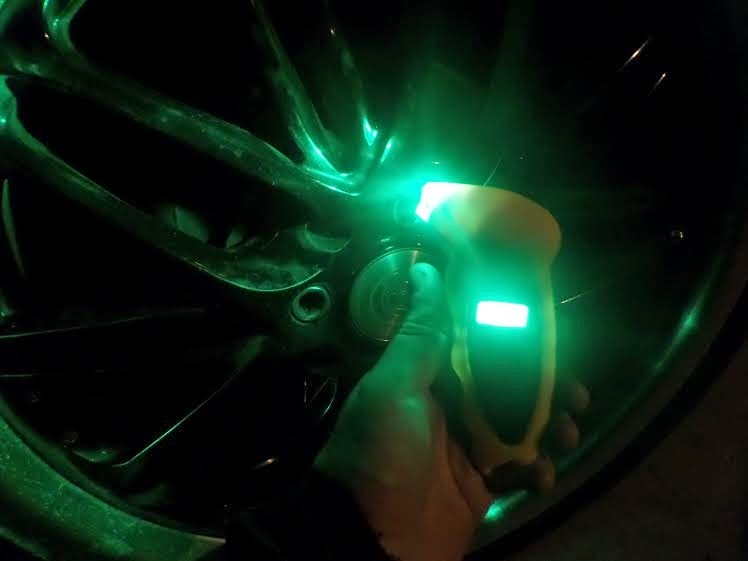 And as an added bonus, the nozzle shines with a green glow that allows you to use this great tire pressure gauge even at night. It gives you absolute no excuse for not being able to get an accurate reading. Since it's so easy to use, I simply wrote the tire pressure range in the back of the gauge so that my wife can easily check it on her own. This way, we can catch a leak before it's too late!!! using or reading this tire pressure gauge. I underestimated the importance of having a tire pressure gauge that everyone can use. Don't make the same mistake that I did and get caught with deflated tires. It's dangerous to drive with low pressure tires. You can pick up one of these bad boys for under $13 at Amazon. Don't put yourself and your family at risk and keep this handy NorthONE Digital Tire Pressure Gauge in your glove box or where you keep your car emergency kit.